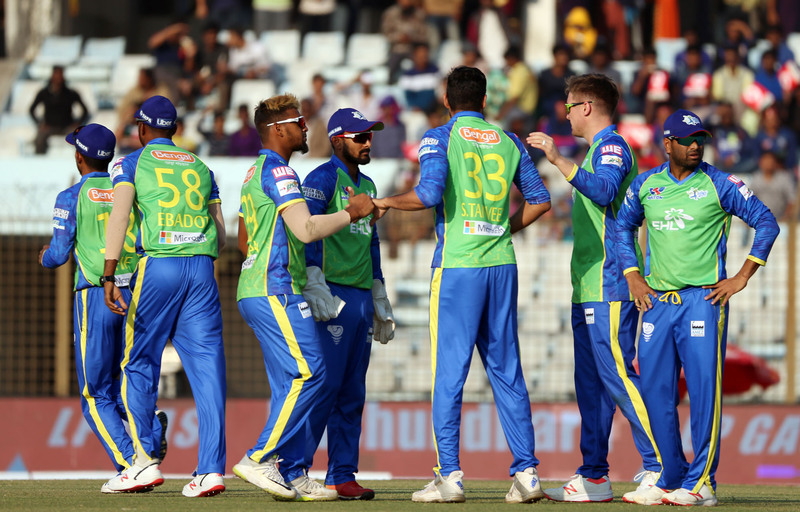 Result : Sylhet Sixers won by 76 runs. Player of the Match : Sohail Tanvir (Sylhet Sixers). Sohail Tanvir’s all-round heroics has helped Sylhet Sixers to seal their third win in BPL 2019 as they beat Rajshahi Kings by 76 runs in the first match of Chattogram Phase at Zahur Ahmed Chowdhury Stadium, Chattogram. This win put Sixers at the sixth spot on the points table. Batting first, Sixers posted 180 for 6 in 20 overs as Jason Roy scored the highest knock of 48 on his first match in the tournament. Sohail Tanvir chipped in with a 10-ball 23-run knock in the later overs to guide his team to a solid total. Mustafizur claimed 2 wickets for 43. Chasing 181, Kings were never looked convincing as Sixers bowlers kept the pressure on from the beginning. Only Fazle Rabbi put some fight who was dismissed after scoring 50. No other batsmen made it big as Kings were eventually all out for 104 in 18.2 overs. Player of the match Sohail Tanvir bagged 3 wickets for 17.